Is that company public or private? 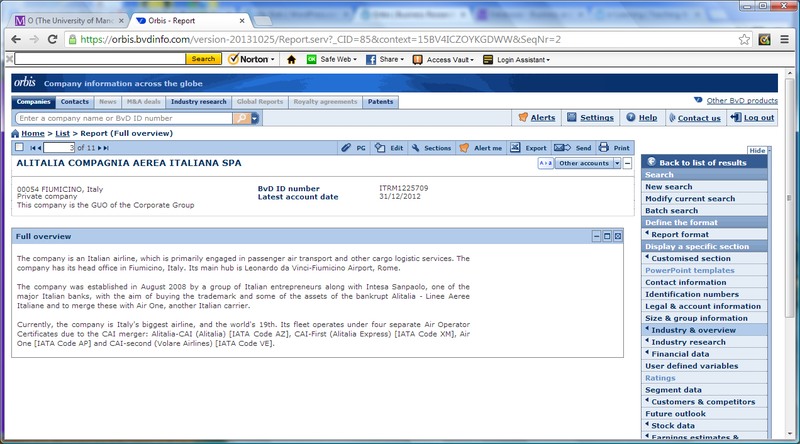 Using Orbis, as we know it is not a UK company, we can search for companies with “alitalia” in their name. ALITALIA LINEE AEREE ITALIANE S.P.A. – BVD ID number ITRM0135156 – a formerly public quoted company that is now a controlled subsidiary of ALITALIA COMPAGNIA AEREA ITALIANA SPA. Alitalia shareholders back £255 million cash call (Reuters news 15 Oct 2013) does on first reading give the impression that Alitalia is a public (quoted) company, but private companies can have shareholders too – it is the listing of shares on an exchange for public dealing that matters. For more about Orbis see the June 2012 post FAME and Orbis for company identification, read the Orbis database guide, or use the Orbis tag below for further tips. You want to find the company behind a website. Sometimes there will be an “About us” page – often there will be a footer at the bottom of the pages – and any ‘terms and conditions’ can also be useful. What you are looking for is the official name of the company, and ideally a company registration number. For going from company to website, databases Fame and Orbis include a website variable. There have been several recent articles in the financial press on the impact of the Qatari stake in Xstrata on the outcome of the proposed merger of Glencore and Xstrata. The main sources are: Bloomberg Professional, Thomson One Banker – ownership, Orbis, FAME (UK cos) and WRDS – Thomson Reuters (US cos). While some shareholder information is publicly available, since large shareholders and directors have to declare dealings to the markets it is not easily available in a research-friendly format. With ownership data researchers need to carefully check what is available and how easily it can be collected. FAME, from Bureau van Dijk, provides information on all UK and Irish registered companies. It covers public (quoted) and private companies: over 2.8 million active companies and 4.2 inactive companies on 05 June 2012. [April 2014] University of Manchester now has Amadeus rather than Orbis. Amadeus provides information on over 450,000 very large and large companies in western and eastern Europe. The Help link (top right) gives access to the user guide, which has function and data definitions, a set of quick tour videos, tips of the day and what’s new. The spanner symbol indicates that you can modify the list format to include just the variables that you require and then export the results as a spreadsheet. You can also choose to have absolute rather than relative years. In the Directors / Managers / Contacts session of a company report, you can select an individual to get details of all their positions. 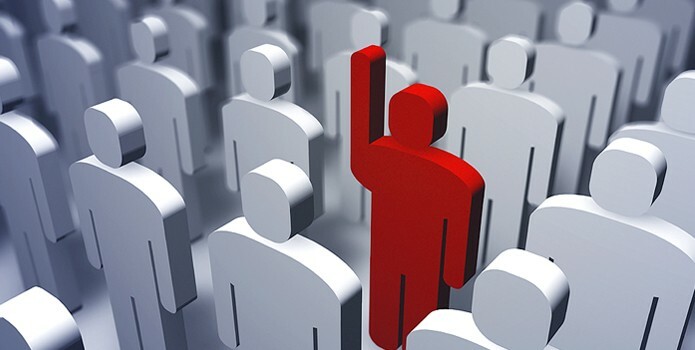 In the shareholders and subsidiaries sections of a company report, you get the data on where a company fits within the overall corporate group. Selecting Report format -> Ownership report gives this in text and an ownership structure diagram. The web interfaces of FAME and Orbis are very similar so once you know one you can easily use them both. 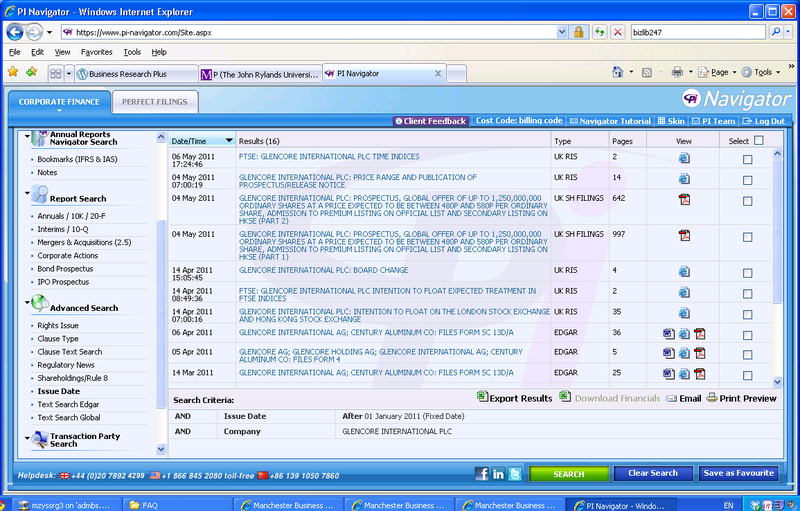 The Orbis screenshot above shows results from a search for scheduled airlines worldwide. The options to change the columns displayed are highlighted, e.g. the operating revunue for 2010 has been added. The highlighted result is for the company Virgin Atlantic Airlines Limited which is a subsidiary of Virgin Group Holdings Limited – both private companies. A key feature of FAME and Orbis is that they cover both public (quoted) and private companies. Their target market is to help in the identification of companies who might be your customer, supplier, or even employer. Remember the Library’s business and management databases page (Fame 2011 guide and Orbis 2011 guide) and the Bureau van Dijk online video guides [Home – Help – Quick tour]. The MBS Library Service provides access to key resources and databases which can assist you with your job search, interview preparation and Career development plan. Find publications relating to your career developemnt eg. Managing your career, CV/Interview preparation and tips on networking techniques, via the Library Catalogue. 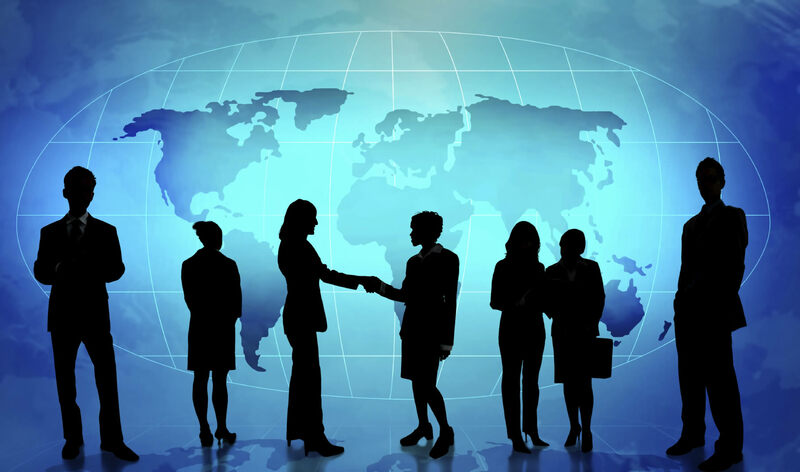 Research Market Analysis – Access Mintel, Keynote, Passport GMID, Frost and Sullivan, providing detailed tailored analysis for international and consumer markets . 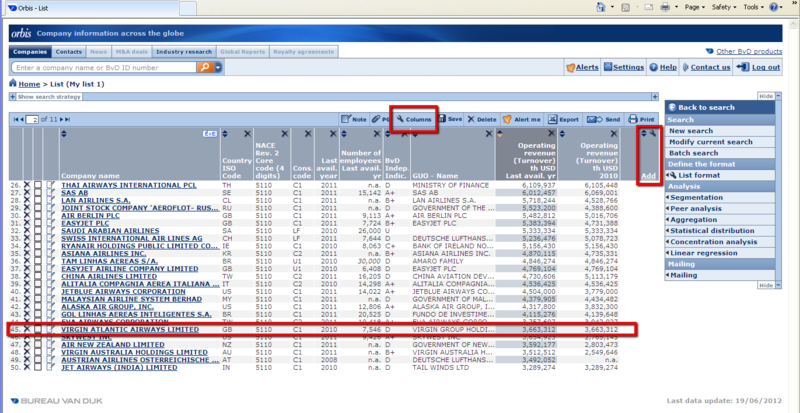 See the “Markets and Sectors” section of the Library Databases page. Create Company/Industry Capsules – Access Business Source Premier (Business Searching Interface) providing brief company/industry snapshots for key international companies and markets. See the “Management Literature” section of the Library Databases page. Articles and online videos offering career/personal development advice. Further Information on how to find, access and search any of the library databases detailed within this guide can be found on the Library’s E-Resources page. A detailed guide which expands further on the information provided above is also available via the Library Web-site. Yesterday, we had a presentation on PI Navigator (aka Perfect Information) – a database providing access to company filings (annual reports, IPO prospectuses, director share dealings …) with worldwide coverage. Company Financials: Examine up to ten years worth of Financial Data. For example, analyse the share price growth of Toyota Motor over the last decade. Research over 60,000 Public International quoted Companies. Target Sector Listings: Track a comapny’s performance against their key competitors. Research the top 230,000 international public/private companies across 200 countries. Investment Analysis: Gain an insider’s view from leading International Investment banks. For eaxmple, discover how Credit Suisse, Merrill Lynch and Morgan Stanley rate China’s leading Petroleum provider. View analysis reports for over 60,000 companies. Market Analysis: Develop an understanding of International Markets. Monitor global companies in the daily news and view data feeds from the world’s stock exchanges. Create a graph or chart based display of, for example, Exon Mobil’s revenue growth. Company/Industry News: Monitor company or industry developments from leading global news sources. Up to twenty years of daily updated news is available. For example examinehow the World’s press reacted to the latest Samsung Electronics trading figures statement.